Hypnotherapy & NLP Practice Group. Skype is an established technology that allows people to have video sessions over the internet. The best part about it is that the Skype software and many of the calls made via the service are free of charge and the software can be downloaded to tablets as well as a laptop and desktop computers. We are a therapy centre based in central Watford ideally based for clients seeking hypnosis, Hypnotherapy, CBT or NLP who may live in or near to the following towns. So if you are looking for a hypnotist in Watford who also offers NLP and CBT in addition to Hypnosis and hypnotherapy please do not hesitate to give us a call. Hypnosis, Hypnotherapy, NLP & CBT in Watford. Are you looking for Hypnotherapy in Watford? Perhaps you found this page by searching for Hypnotherapy In Hertfordshire. Hypnotherapy is quickly growing into one of the most validated therapies available today. Recognised by the British Medical Association hypnotherapy has proven to be a safe, effective alternative that can treat a wide range of issues in just a few short hours of treatment. There are no swinging pocket watches or mesmerizing spinning spirals it s not about how many TV appearances we have made. More over just sound proven Psychotherapeutic, Cognitive, Hypnotic and Neural Linguistic approaches to help identify and bring a level of understanding whilst we work together to develop a set of bespoke interventions to help relieve your very particular set of challenges. Modern cognitive hypnotherapy is an enjoyable and relaxing experience allowing you to access your full potential with relatively little effort and in a short time. You are in control all the time – and "it feels great!". Is there evidence that Hypnosis works? Yes. While there are plenty of examples in the scientific literature attesting to the usefulness of clinical hypnosis (Hypnotherapy), a study published in the journal Gut is noteworthy. The study involved 204 people suffering from Irritable Bowel Syndrome (IBS). Treatment consisted of 12 weekly sessions of hypnosis (lasting about one hour each). Fifty-eight percent of the men and 75 percent of the women reported significant symptom relief immediately after finishing treatment. More than 80 percent of those who reported initial relief were still improved up to six years later. Fewer than 10 percent of the participants tried other treatments after hypnotherapy. While you may think of hypnosis as something you see only in the movies or novels, hypnosis is used in real life as part of the treatment plan for people with numerous health ailments ranging from depression to gastro-intestinal disorders. Based on research showing that hypnotherapy can help people manage – and in many cases recover from illness, hypnotherapy is becoming a more common part of many patients’ recommended health treatment. How might Hypnosis or Hypnotherapy help me? Are you looking to lose those un-helpful thoughts that tend to permeate in to an ever growing proportion of your lie, perhaps you want to increase your motivation, achieve a certain goal, work on your body image or just realise more of your full potential. At The Watford & District Hypnotherapy Centre We offer private therapy sessions Monday to Friday between 10:00 and 20:00 and Saturday appointments between 10:00 and 1600 at which we can discuss and develop a bespoke program to help identify and resolve your current issues using a combination of hypnosis, hypnotherapy, CBT and NLP. Sessions are on average 60 minutes in length and cost is £65.00.Specific number of sessions required is hard if not impossible to state as it is a very individual set of circumstances and responses that bring about the various challenges, we offer a free of charge no obligation initial assessment at which we should be able to assess likely number of sessions required. For more details or to book your free initial consultation, call 01923 728 786 or contact us through our Contact Us Page. Hypnotherapy is a skilled communication aimed at directing a person’s imagination in a way that helps elicit changes in some perceptions, sensations, feelings, thoughts and behaviours. In a typical hypnotherapy session the hypnotherapist and client will discuss the intended alterations or therapeutic goals desired. The hypnotherapist will ask questions about previous medical history, general health and lifestyle to decide on the best approach for the individual. Hypnotherapy may be found to be helpful for those seeking relief from a range of problems and is used alongside a person’s own willpower and motivation to seek a desired goal. It is often used to help relieve anxiety, aid sleeping, help to address bedwetting, address attitudes to weight, and help clients achieve behavioural change to stop smoking. It may also help with minor skin conditions that are exacerbated by stress and confidence issues, and may also be used to enhance performance in areas such as sport and public speaking. Hypnotherapy may help people to cope with and manage the relief of perceived pain. Hypnotherapy has also been used with both adults and children to help manage the pain associated with irritable bowel. There is evidence to support its use in this condition for both adults and children and the National Institute for Health and Clinical Guidance (NICE) recommends the NHS should consider referring patients for hypnotherapy if their irritable bowel is persistent and has failed to respond to simple prescribed medicine. It is important to choose a qualified hypnotherapist who has undertaken all the necessary training to understand the theory and practice of hypnotherapy. 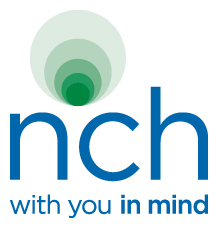 You can check whether a hypnotherapist is registered with the Complementary & Natural Healthcare Council (CNHC) by searching the register at www.cnhc.org.uk. By choosing hypnotherapists registered with the CNHC you can be confident that they are properly trained, qualified and insured. We have a hypnosis downloads section, offering mp3 format hypnotherapy sessions which you can download and listen to on any mp3 device. We have over 800 hypnotherapy downloads covering such diverse issues such as Anxiety, Relationship Issues, sleeping issues, weight loss, stop smoking, improve your golf handicap, motivation to go to the gym and lifestyle hypnosis. We guarantee you will love the way you feel after using one of our self- hypnosis downloads - or we will give you your money back. And, as well as listening from your computer, you can copy your MP3 download onto CD, MP3 player, DVD or tape. All our hypnosis downloads have been carefully crafted by professional hypnotherapist educators with a proven track record. Visit the top 10 hypnosis downloads page. Download your hypnotherapy mp3 track today! I have heard of these, how will you use these techniques ? NLP is the practice of understanding how people organise their thinking, feeling, language and behaviour to produce the results they do. NLP provides people with a methodology to model outstanding performances achieved by geniuses and leaders in their field. A key element of NLP is that we form our unique internal mental maps of the world as a product of the way we filter and perceive information absorbed through our five senses from the world around us. Neuro: Each individual has established their own unique mental filtering system for processing the millions of bits of data being absorbed through the senses. Our first mental map of the world is constituted of internal images, sounds, tactile awareness, internal sensations, tastes and smells that form as result of the neurological filtering process. The first mental map is called ‘First Access’ in NLP. Our 'cognitive processes' are our thoughts which include our ideas, mental images, beliefs and attitudes. Cognitive therapy is based on the principle that certain ways of thinking can trigger, or 'fuel', certain health problems. For example, anxiety, depression, phobias, etc, but there are others including physical problems. The therapist helps you to understand your current thought patterns. In particular, to identify any harmful, unhelpful, and 'false' ideas or thoughts which you have that can trigger your health problem, or make it worse. The aim is then to change your ways of thinking to avoid these ideas. Also, to help your thought patterns to be more realistic and helpful. This aims to change any behaviours that are harmful or not helpful. Various techniques are used. For example, a common unhelpful behaviour is to avoid situations that can make you anxious. In some people with phobias the avoidance can become extreme and affect day-to-day life. In this situation a type of behaviour therapy called 'exposure therapy' may be used. This is where you are gradually exposed more and more to feared situations. The therapist teaches you how to control anxiety and to cope when you face up to the feared situations. For example, by using deep breathing and other techniques. This is a mixture of cognitive and behaviour therapies. They are often combined because how we behave often reflects how we think about certain things or situations. The emphasis on cognitive or behaviour aspects of therapy can vary, depending on the condition being treated. For example, there is often more emphasis on behaviour therapy when treating obsessive compulsive disorder (where repetitive compulsive actions are a main problem). On the other hand, the emphasis may be more on cognitive therapy when treating depression. As a rule, the more specific the problem, the more likely CBT may help. This is because it is a practical therapy which focuses on particular problems and aims to overcome them. CBT is sometimes used alone, and sometimes used in addition to medication, depending on the type and severity of the condition being treated. Are you looking for CBT in Watford? Perhaps you found this page by searching for Cognitive Behavioural Therapy in Watford. At The Watford & District Hypnotherapy Centre We offer private therapy sessions Monday to Friday between 10:00 and 20:00 and Saturday between 10:00 and 16:00 at which we can discuss and develop a bespoke program to help identify and resolve your current issues using a combination of hypnosis, hypnotherapy, CBT and NLP. Sessions are on average 60 minutes in length and cost is £65.00. Specific number of sessions required is hard if not impossible to state as it is a very individual set of circumstances and responses that bring about the various challenges, we offer a free of charge no obligation initial assessment at which we should be able to assess likely number of sessions required. As is common in therapy, results may vary from individual to individual and no specific outcome can be promised or guaranteed. Your therapist will however, endeavour to accomplish the objective of your sessions to the best of his ability.